(O7/OZJ) (Melbourne) 2005 - 2009. Photos. Framable Color Prints and Posters. Digital Sharp Images. Aviation Gifts. Slide Shows. 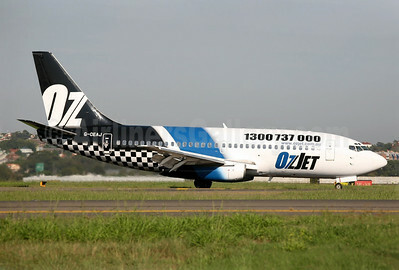 OzJet Airlines Boeing 737-229 G-CEAI (msn 21176) SYD (Sam Chui). Image: 903043. 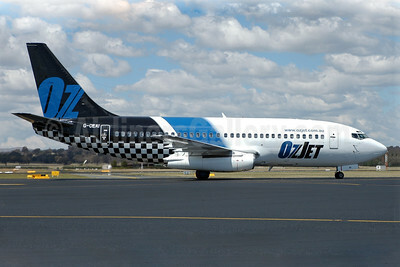 OzJet Airlines Boeing 737-229 G-CEAJ (msn 21177) SYD (John Adlard). Image: 903157. 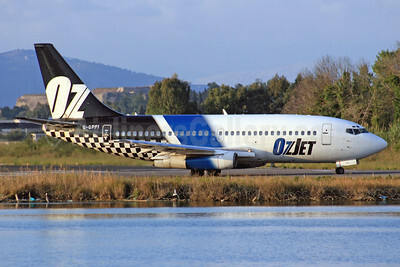 OzJet Airlines Boeing 737-229 G-GPFI (msn 20907) CFU (SPA). Image: 940792.